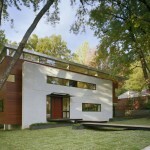 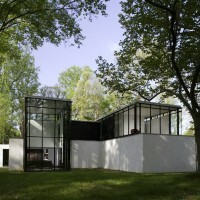 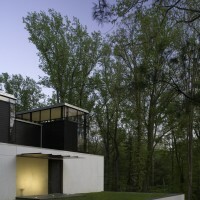 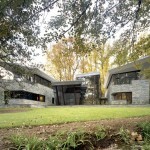 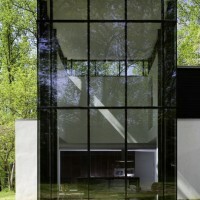 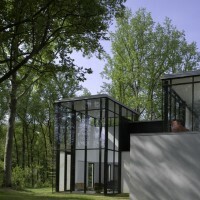 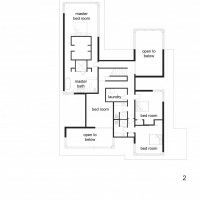 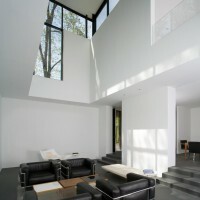 David Jameson Architect designed the BlackWhite Residence in Bethesda, Maryland. 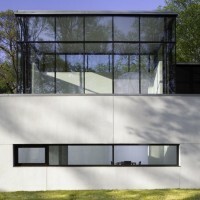 Inhabiting the masonry shell of an existing house, this project engages the phenomenon of ruins and explores the idea of aperture. 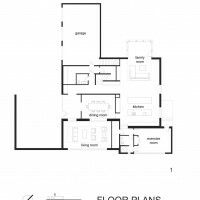 The design program called for renovating the main level and adding a second level with a significantly smaller footprint. 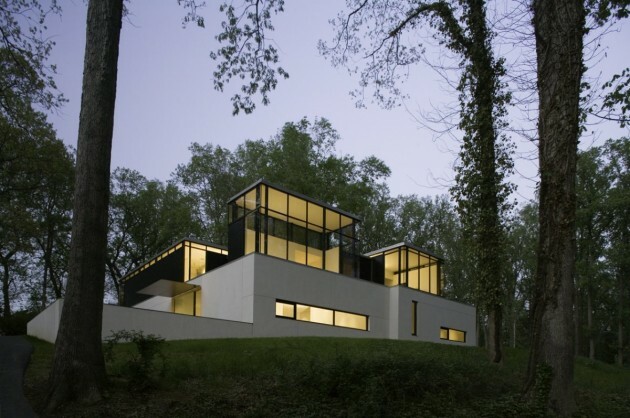 Alluding to the Acropolis, four modern glass temples emerge from a white stucco plinth as volumes of light and define space between each other. 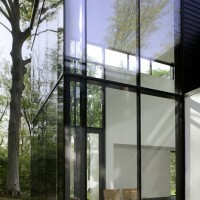 These volumes of light are stitched together by a circulation core sheathed in black that extends to cradle each space. 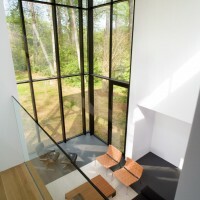 The volumes are instruments of light, gathering natural light to the interior during the day and glowing in the landscape at night. 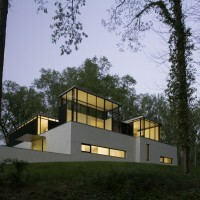 Visit the David Jameson Architect website – here.